The holidays mean you never have to eat boring food at the office. Around this time of year colleagues bring in pies and cookies. But nothing says festive like a magnificent catering spread. For showstoppers that’ll impress the VP and make colleagues feel special, we turn to some of our most prized picks. 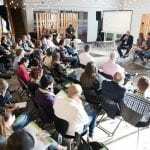 There is little territory we haven’t explored here—whether you’re planning a breakfast seminar on a budget or a cheffy meal for a client lunch. These ten restaurants cater impressive meals for Denver businesses, and they belong in your holiday rotation. The Delectable Egg cooks beautiful, homey food that’s going to look smart at that upcoming breakfast seminar. For morning events, the best course of action is to start with scrambled eggs and to pick and choose extras. You’ll be tempted to order the buttery herbed quiches and warm, icing-topped cinnamon rolls. There’s no better time for this. No secrets here—a good holiday starts with a simple breakfast. In the winter few people are going to refuse a plate of thick-cut french toast drizzled with maple syrup. 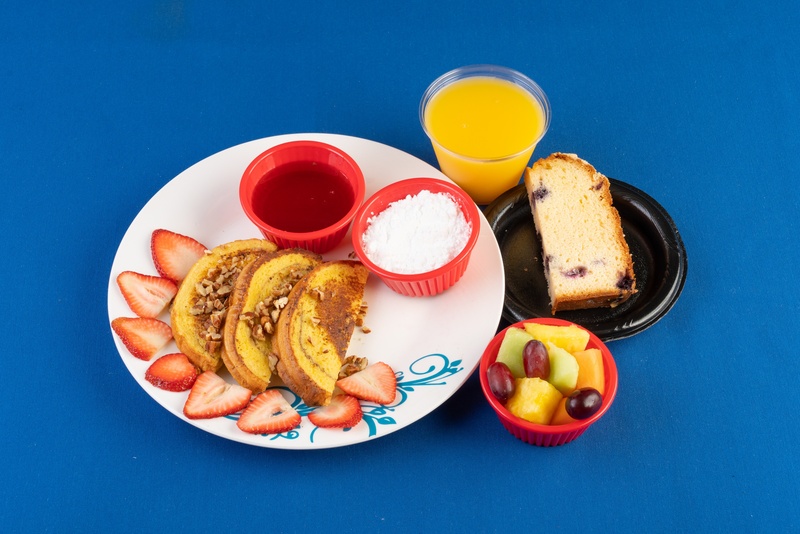 Corporate Caterers plates this breakfast dish with a spoonful of juicy strawberries. 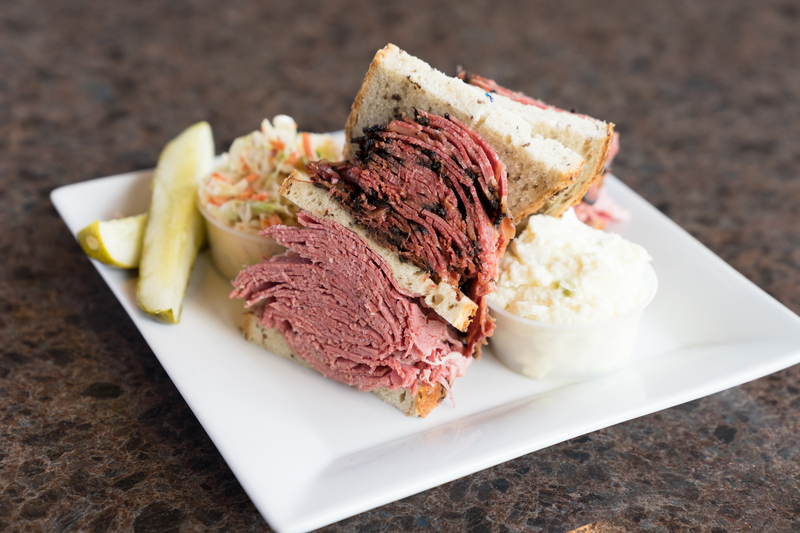 At New York Deli News, the classic lunchtime staple (the sandwich) is heavy and satisfying to hold. Thin-shaved meats like pastrami or roast beef are folded, layered, and piled high. Altogether the mound of meat is much larger than the bread slices. 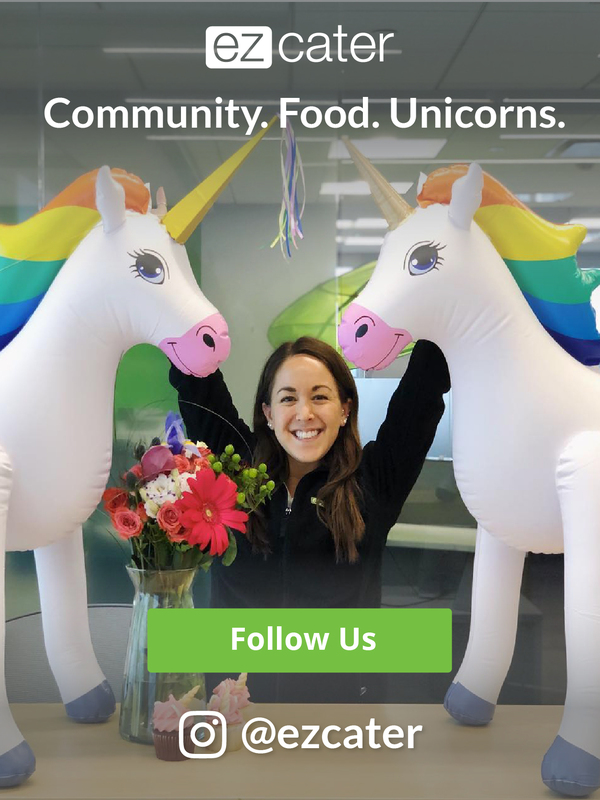 This is part of the appeal when trainings run into the holiday lunch and your people are hungry. 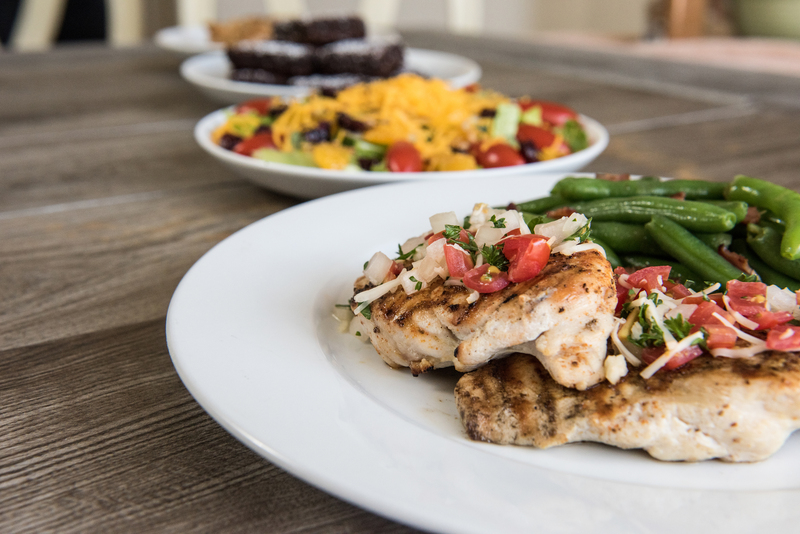 This season ease your staff back into healthful habits with flavorful grilled meats and zesty salads. 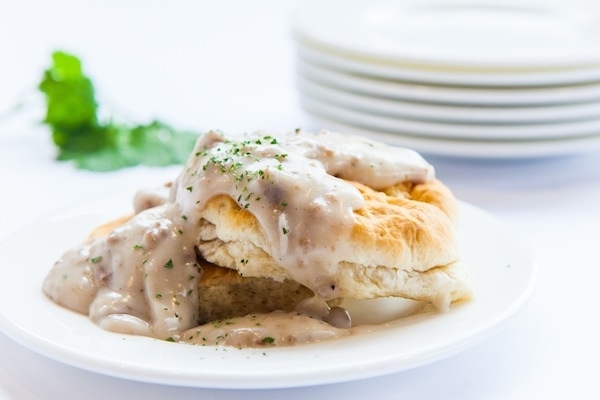 The menu of Cravin Fresh Catering isn’t just for low-carb, low-cal eaters. The full-course catering package called “Gourmet Weekly Menu” starts with juicy grilled chicken. If you want fresh rolls, they’ll come. For quick and easy meal planning, Which Wich serves a full meal in a compact box lunch. Sandwich, cookie, chips. Don’t even think about it. The classic box lunch makes for a tidy meal and an easy cleanup. Plus, it won’t throw your budget. At just $8.50 per person, the price is so good you can afford a round of drinks. This season surprise them with the gift of buttery Liege-style waffles. 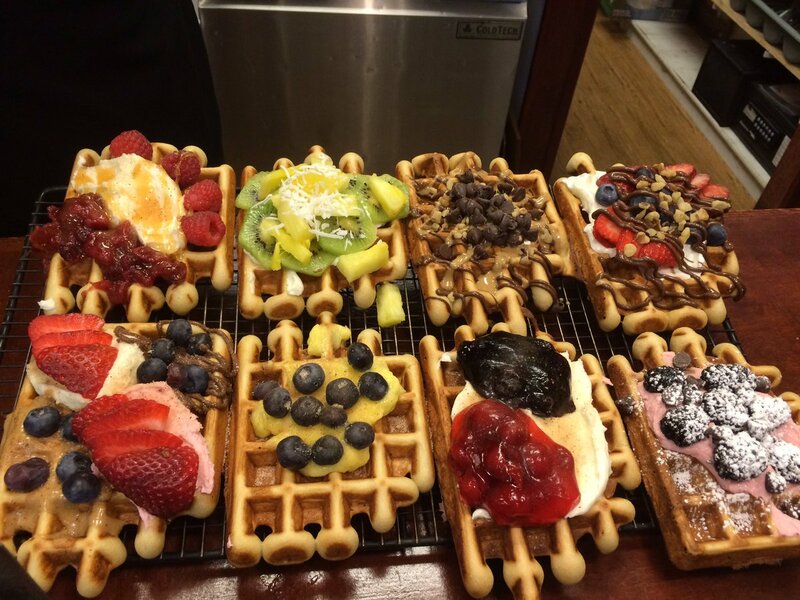 The waffles of Denver’s Waffle Brothers are not your ordinary batter cake. They’re made with pearl sugar, which leave pockets of sticky sweet goodness throughout the crisp, delicate waffle. 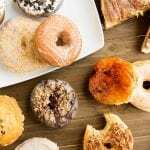 The toppings, though, like marshmallow cream cheese or raspberry cheesecake swirl, will hands down be your favorite part of the meal. A pot of dark coffee completes the morning. To thoroughly impress, make this modern eatery part of your client meeting. 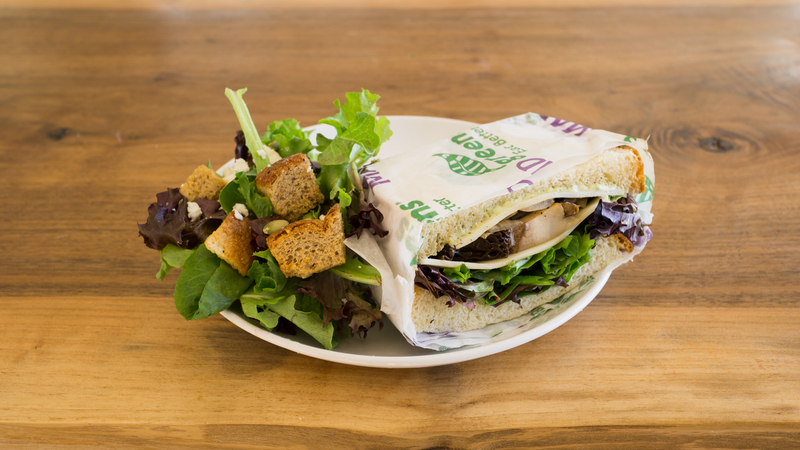 The sandwich comes to life with Modern Market’s renditions. The gluten-free sandwich features fresh mozzarella, tomato, arugula, basil pesto, and blueberry balsamic jam on gluten-free bread. Other delicious sandwiches are crafted with chipotle steak, chicken, or Vietnamese-style pulled-pork. The dishes are so flavorful and unique that no one will know that each item costs about ten dollars. Stuck in a lunch rut? Wok & Roll Teriyaki is sure to become your favorite weekday pick, especially when you’re looking for light sushi. The “Double Deluxe Meat, Sushi, and Dumpling” package is one of the greatest catering packages of all time. There’s sushi, of course. And also grilled meats brushed with sweet teriyaki glaze, addictive pan-fried dumplings, and so many sides and sauces. 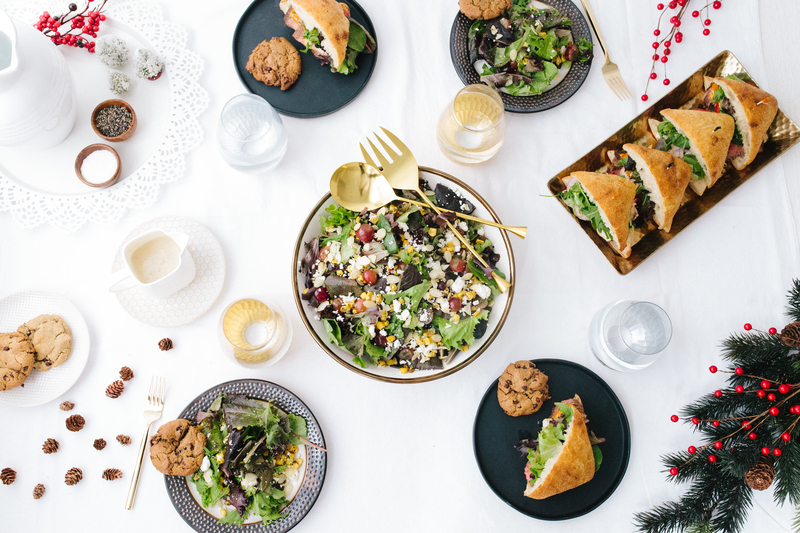 Before your colleagues start flying home for the holidays, feed them a delicious and healthful meal with MAD Greens. Because they’ll have plenty of chances to load up on the rich stuff. 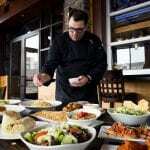 MAD Greens transforms better eating into bright, fresh dishes. Salads and wraps are loaded with protein like grilled steak, chicken, or tofu and plenty of crunchy veggies. 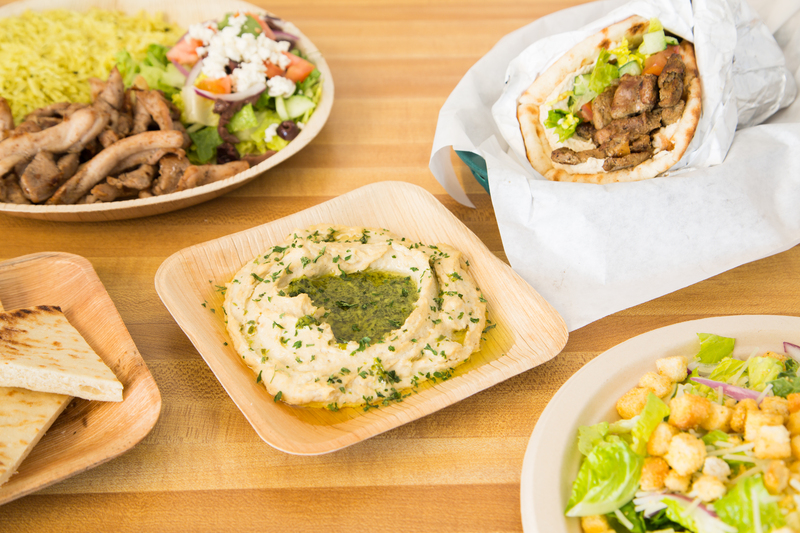 Any board meeting can be improved with flavorful Mediterranean. At Tapestry Mediterranean, the customizable one-bowl meals are tricked out with two gently spiced proteins like savory chicken shawarma and a riot of toppings and sauces. Vegetarians will enjoy plant-based bowls of grains, veggies, and crisp falafel fritters, salted just so. Make this holiday season super easy for everyone by ordering catering for your next office event. 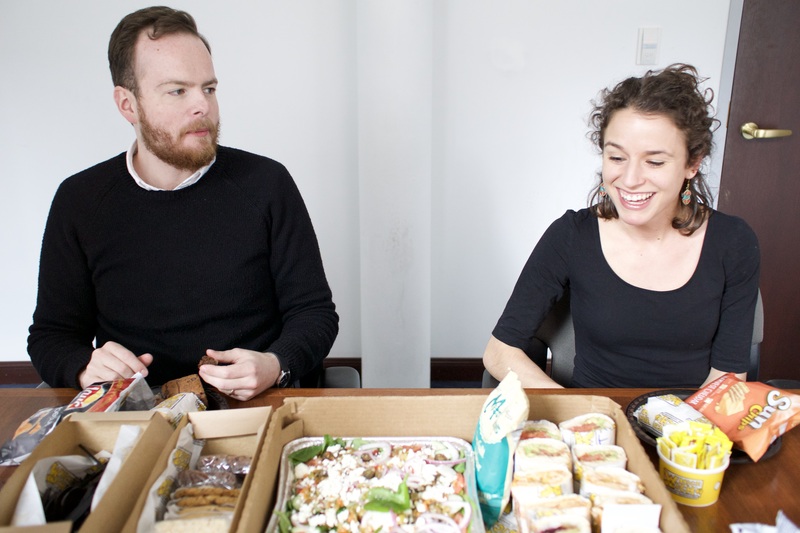 At ezCater we partner with over 60,000 restaurants nationwide that offer business catering. Whatever you’re craving, we’ve got impressive meals for you. Planning a catered event for the office?